Feel like a good pout? This mask will get the feelings out. 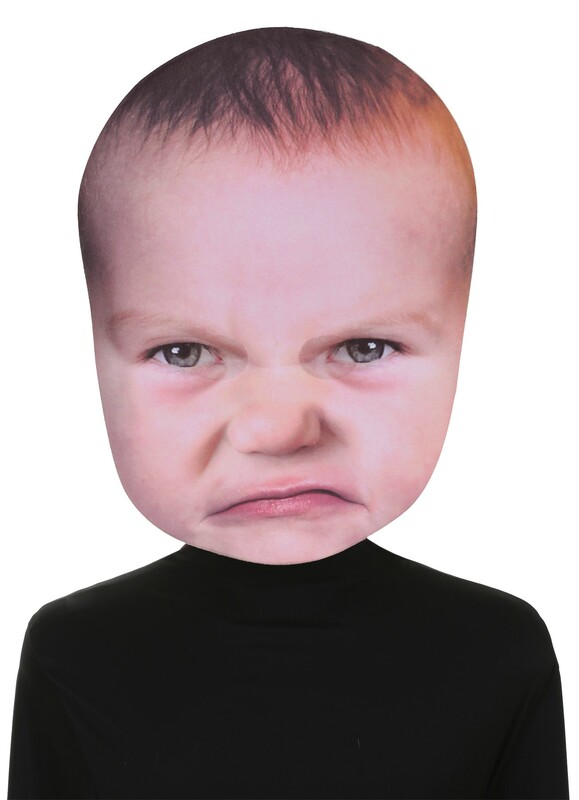 An amazingly photographically real looking angry baby face sure to get your point across about how sad and bitter the situation has made you. One size fits most adults. Giant masks are 13" x 18" and made of foam board!